Hi. 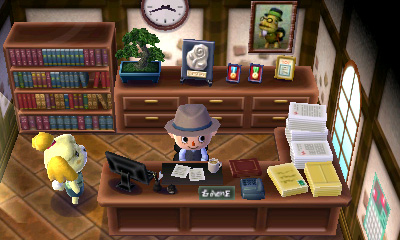 My name is Jeff, and I’m addicted to Animal Crossing: New Leaf. Okay… um… I spent about 145 hours since June 28 playing the game almost every day up until a couple of weeks ago. I just needed to stop because… it honestly doesn’t make sense why I would keep playing it. There is no good aspect that stands out. 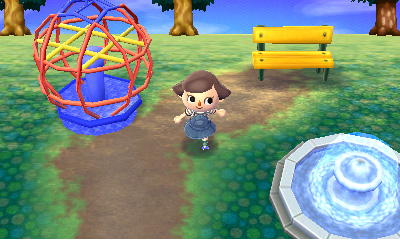 Seriously, there is nothing in Animal Crossing: New Leaf that stands out. How is the gameplay? It’s adequate. How’s the music? It’s average. What are the NPCs like? Cheesy on good days. The thing is, I’ve always had a thing for simulation games. I’ve spent years playing the likes of Harvest Moon, Rune Factory, and The Sims. But I’ve never really tried Animal Crossing before this year, and wanted to try it out. 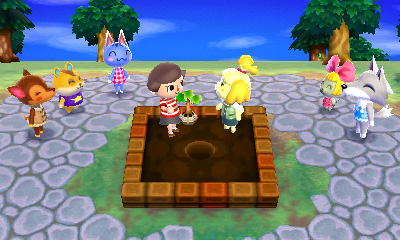 So, with New Leaf being the most recent, I decided to give it a shot. Okay, let me set up the game. 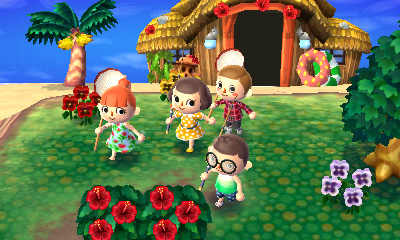 Animal Crossing: New Leaf stars you as a villager who unexpectedly becomes Mayor of [Insert Your Town Name Here]. After being forced into the job, you work towards building up the town by adding buildings, bridges, hangouts, and landmarks. This is done through funding various construction projects that you initiate. The funds come from various items that you sell either to the Nooks or at Re-Tail. The music is rather simplistic. It works for the small-town, down-home atmosphere that they were going for. You can also listen to some upbeat electronic music every night and even an acoustic performance from K.K. Slider on Saturdays. However, in order to get that, you need to raise funds to open up Club LOL, the nighttime dance club in town. Design isn’t too bad. If you run on the grass, that spot of land slowly becomes bare, which is a nice touch. And while there are four different town set-ups you can start with, I wish there was a way for the game to randomly generate different initial town set-ups. Gameplay… works. You have a fishing rod to catch fish, a shovel to dig up pitfall traps and fossils, a net to catch bugs, a slingshot to shoot balloons with gifts, and a few other tools to do various daily activities. They work. There’s pretty much nothing else I can say about it. NPCs can also give you mini-quests to get various items in order to… something. I honestly started skipping these after a while because it didn’t seem like it affected anything. It didn’t give you any new conversation pieces or prevent residents from leaving town. The latter comes from a different conversation when you tell them not to leave (and they stay after that instead of just leaving). You can also earn badges through doing various activities, such as shooting a lot of balloons and catching a lot of fish. This sounds good, in theory, but there’s one thing that takes it a step back. The day/night cycle is terrible. It basically runs the same way as the later Pokémon games, as it follows the time you set on the 3DS. And it works in Pokemon because there is a sense of progression going on in the game that is not time-related. 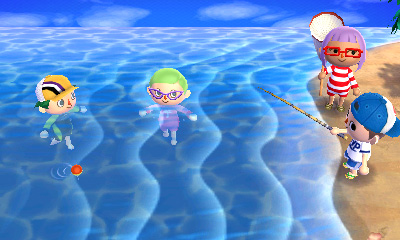 To progress in an Animal Crossing game, you need days to progress. So, if you use a day/night cycle that works on real-time, then you delay progression and make things very tedious for the gamer. It could also be that they developed it in a way that is beneficial to a handheld. By that, I mean that you play it in small bursts rather than marathon gaming sessions. Now, Nintendo has developed games for the system so that you can play them in small bursts before. It works well for games like Luigi’s Mansion: Dark Moon and Fire Emblem: Awakening because there is no outside time-element that affects the game. While they tried to do it here, it is terribly executed. Online works – or at least works as much as any other 3DS game – but doesn’t really add much to the overall experience. You can visit your friends – or have them come to you – via the train to get some different fruits for your town and team up in mini-games, but you can also do those on your own. 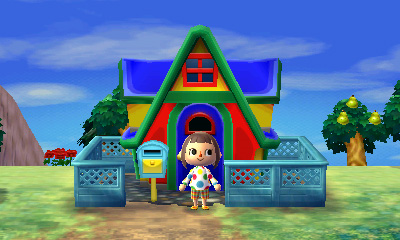 It’s also interesting to see what others do to their towns as you visit them via the Dream Suite (another building you have to fund) or look at other houses at the Happy Home Showcase (the game’s StreetPass function). As for those mini-games, there’s not much to say. You go to an island to play games that deal with activities you can do on your island (fishing, finding fossils, catching bugs, etc.). While they do get tougher, they also get repetitive. It also changes which games you can play every day. However, it is done with no rhyme or reason (i.e., There is no pattern to which activities you can play any given day. Animal Crossing: New Leaf feels like it was made to be a social mobile game. By that, I mean that it was made in a way where you don’t have to put in a lot of time every day in order to play it. For that, it works. The problem is that once you play it enough, you realize that the game is rather shallow. So, why did I keep playing it every day for nearly six months? Well, as I said at the beginning, it is rather addictive, despite not being an impressive product. You know, long-time game designer Shigeru Miyamoto once said that Nintendo’s way to combat the second-hand market was to make a game that you wanted to keep coming back to. Well, they made a game that I couldn’t put down for nearly half a year. So, in a way, they succeeded. But only to a point. 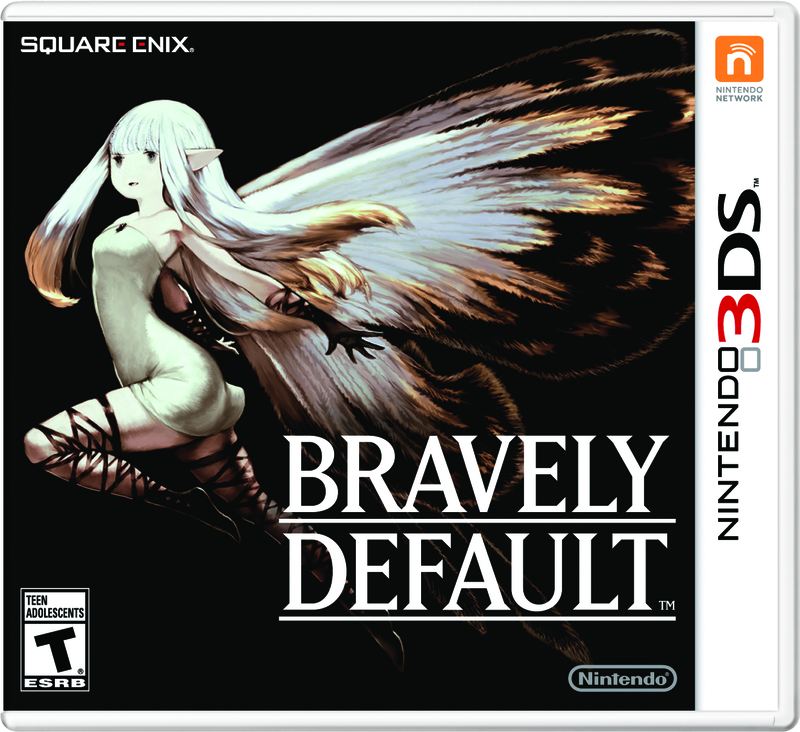 As soon as this goes up, I’m trading this in for a Bravely Default pre-order. I just need to make a clean break from this game. So, for those that are addicted to this game, my sympathies. I was there, too. You can get through this. The first step is to turn the game off and pack it away in a place you’ll forget about soon enough. Will I consider Animal Crossing in the future? Sure, but it needs to drop the current day/night cycle for something quite shorter and runs only when the game is on. It doesn’t need to be like Harvest Moon where 24 hours is 24 minutes, but it needs to be reasonable. Well, at least the next $40 will be used on something I intend to keep. Copy was purchased by the reviewer. 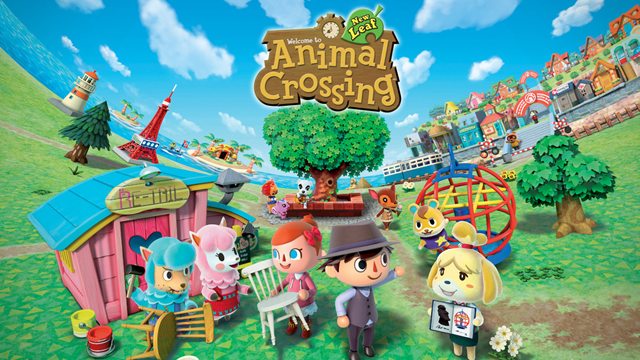 Animal Crossing: New Leaf is available for an MSRP of $34.99 at most gaming retailers.